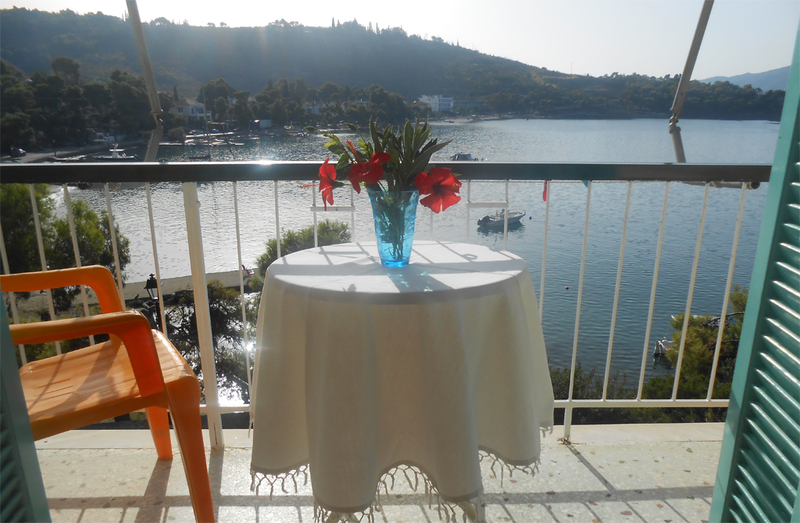 "Studio Argiris Kaikas" is located at the end of Megalo Neorio, at the coastal road, in front of the sea, with an endless and amazing sea view and Neorio view. 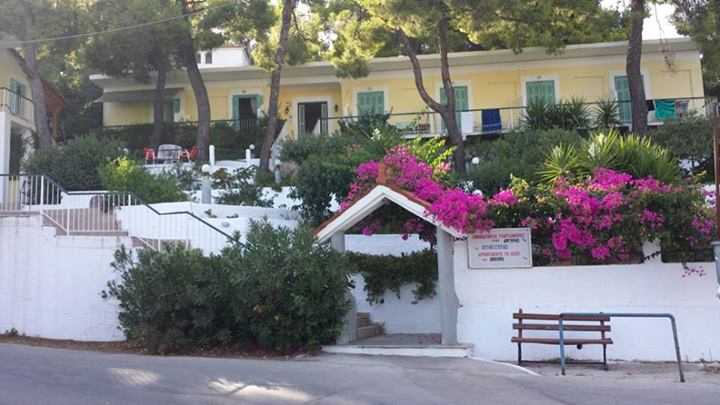 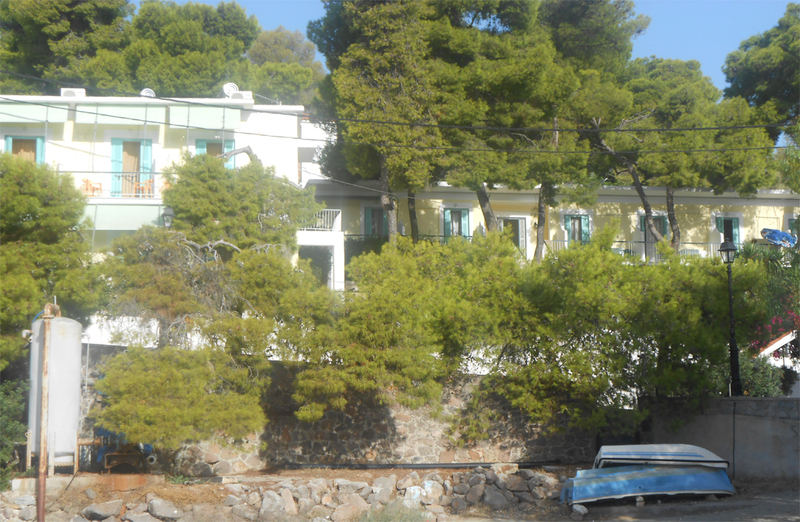 It is a beautiful and quiet complex with 15 double rooms (can be made into triple with an extra bed if you like), built between pine trees, right in front of the sea. 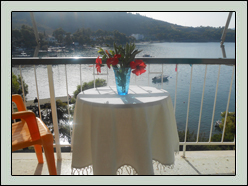 All the rooms have got sea view and local transportation (buses-taxi) is right in front of the complex. 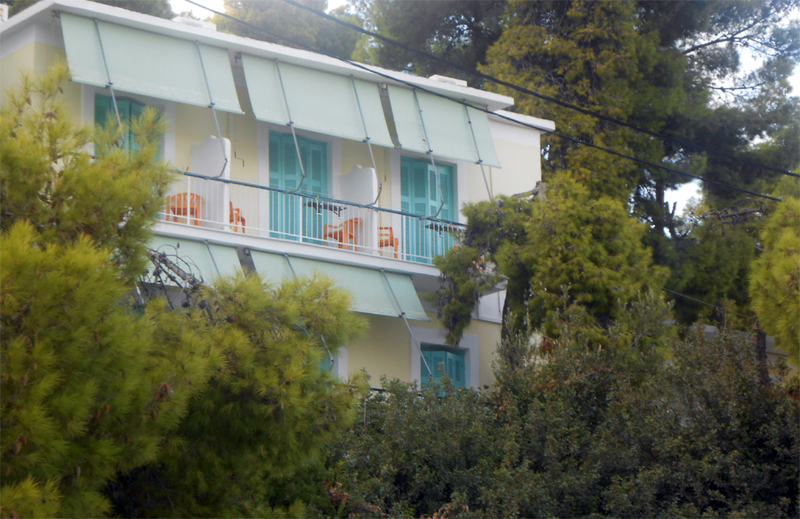 "Studio Argiris Kaikas" are divides from the sea by the coastal road. 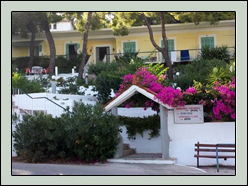 Next to the studios there is the picturesque tavern of Petros, where	you	can	enjoy your meal after your swim. 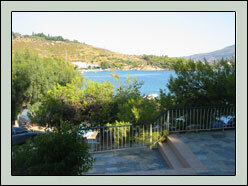 The plaz is sandy and ideal for kids and play. 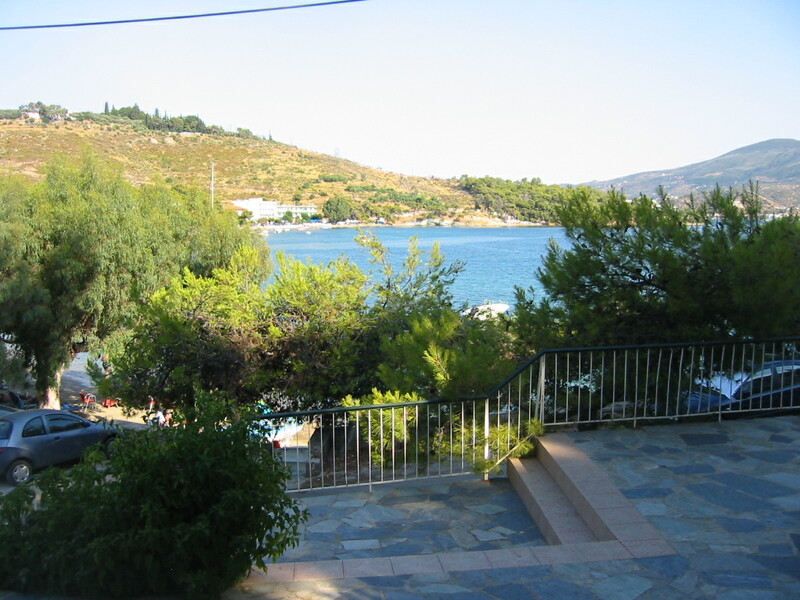 Close to the studios there is supermarket, poll with bar, water sports school and a few meters away there is the "Limanaki tis agapis" and the Russian Bay. 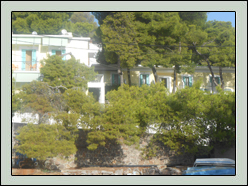 The owners Argiris and Maria are always at your disposal. 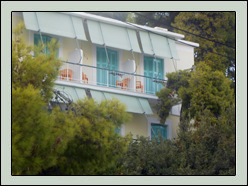 Family environment, service, cleanliness... and friendly prices.